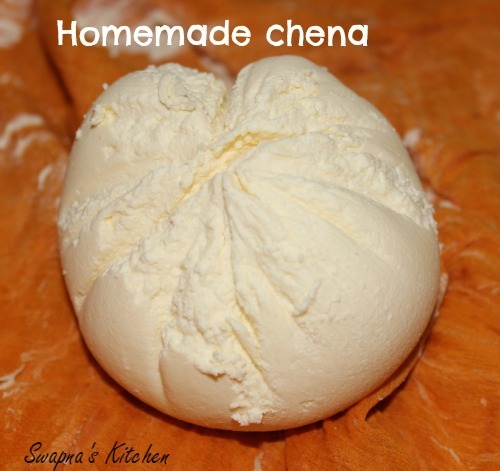 Chena is a key ingredient used in many delicious milk sweets like rasmalai,rasgulla,kalakand etc.Chena is prepared by curdling the milk using any one of the following items like lemon juice,orange juice,vinegar or curd. 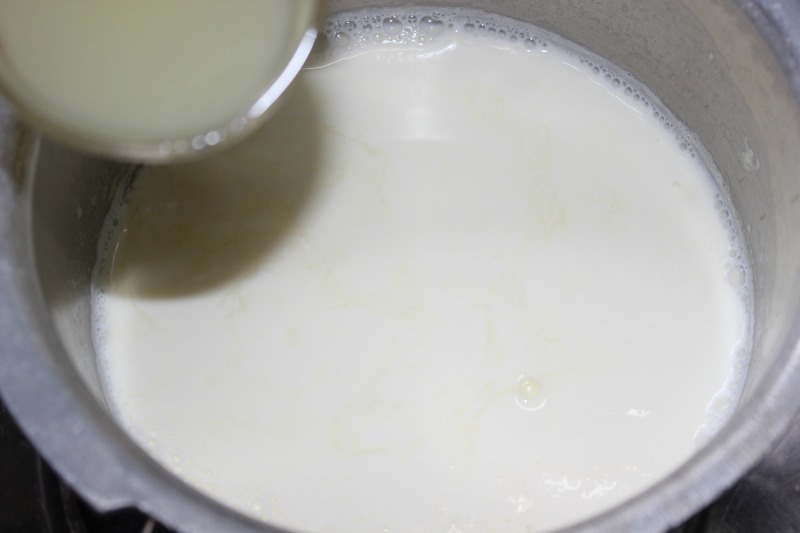 Boil milk in a deep bottomed vessel.When it boils switch off the flame,wait for 2 mins and then add the lemon juice.Stir it gently and leave for 5 mins. 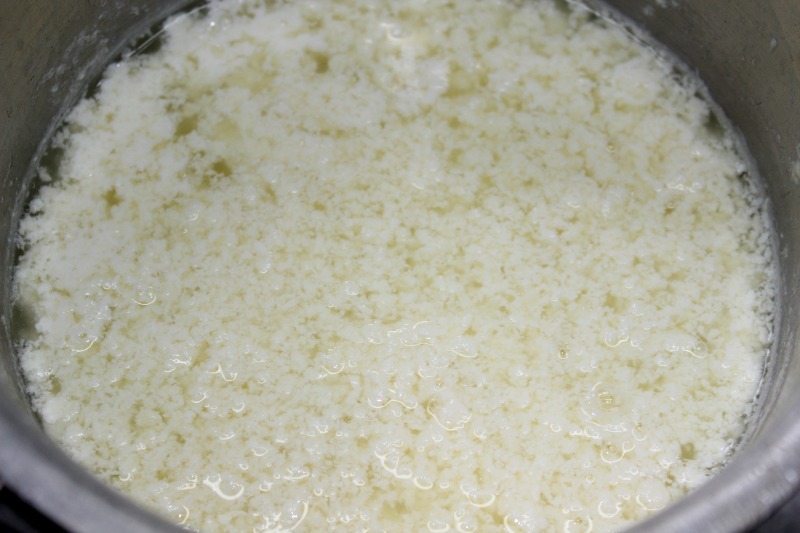 The milk starts to curdle and the greenish whey separates from it. 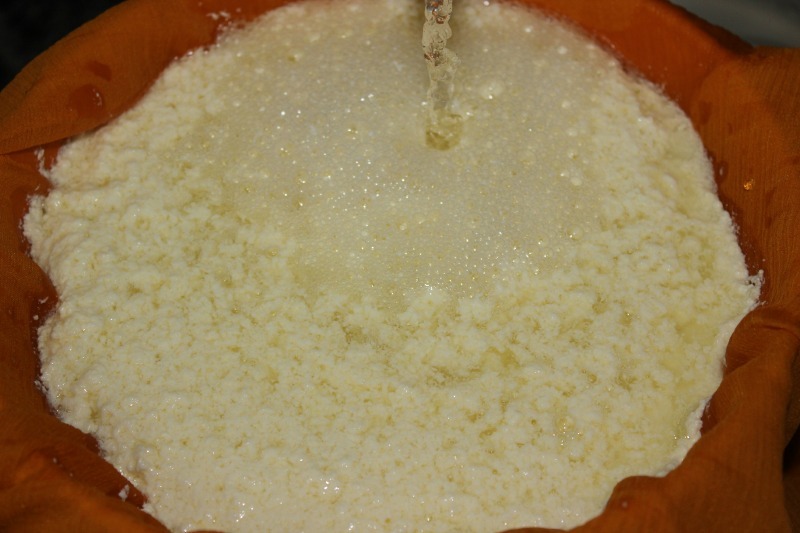 Line the colander with a muslin cloth and pour the curdled milk through the cloth.Wash the chena under water to remove the sour taste of lemon. 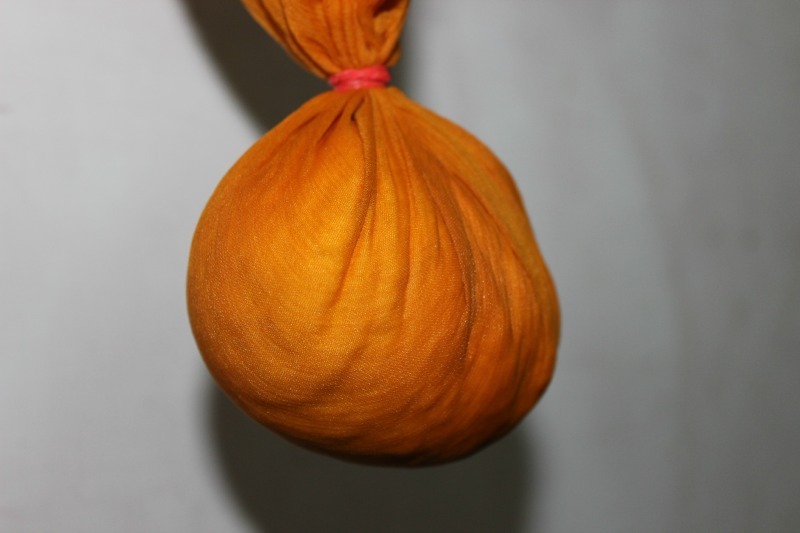 Gather the sides of the cloth and gently squeeze the chena to remove the excess water.Tie and hang it for 30 mins. The Chena is now ready to make your favorite sweets. 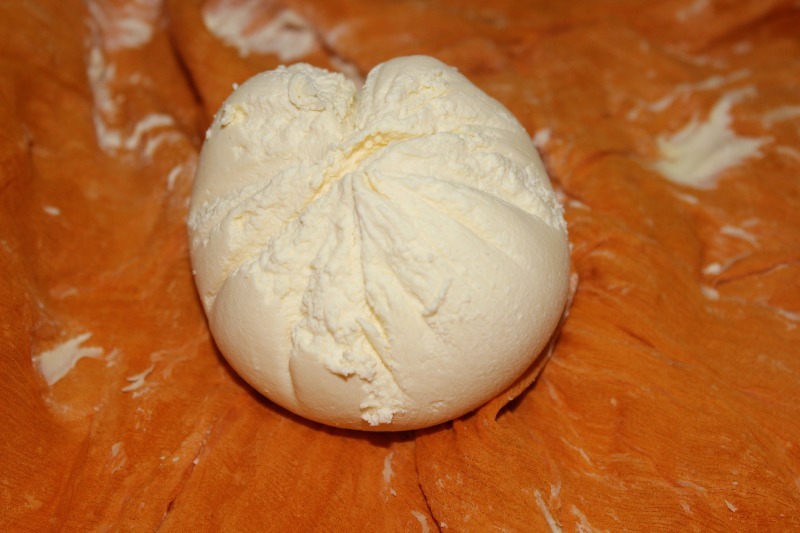 Have to try this at home…thanks for the recipe Swapna!